Golden Gate Tour is not currently available. 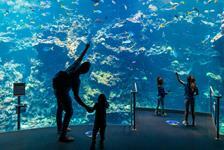 Check out our other great San Francisco Attractions. Save a bundle when you combine a hotel with your tickets. Fly high above the Golden Gate Bridge and San Francisco in this 30-minute tour in the air. 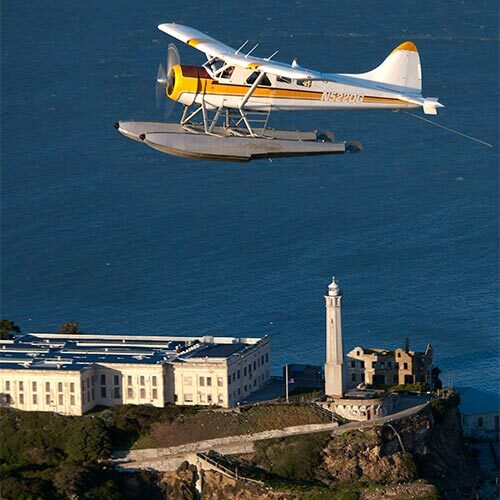 From downtown San Francisco to Alcatraz, you’ll gaze at all of the legendary landmarks while relaxing in a secure and exhilarating seaplane. Don’t forget to bring your camera to capture these unique memories. Where else can you take a picture from above the Golden Gate Bridge? 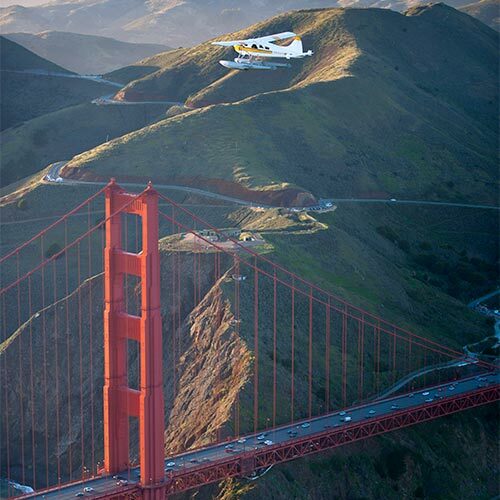 Our 30-minute basic flight will take you over the splendor of the greatest city in the U.S. - San Francisco! On this flight you will take off from our seabase in the lovely bayside village of Sausalito just across the Golden Gate Bridge. 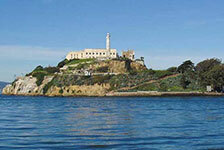 We will fly along the coast over the Golden Gate National Reserve past Baker Beach and the Pt. Bonita Lighthouse, then left over the legendary Golden Gate Bridge herself! We will fly high above Crissy Field, Downtown San Francisco, AT&T Park - Home of the Major League Baseball World Champion San Francisco Giants, then on over the infamous island prison of Alcatraz. 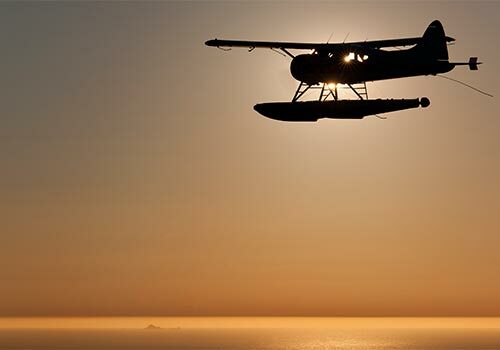 Finally your flight will be completed with a pass by the historic Angel Island - the Immigrant Gateway to the West and a smooth landing back in Sausalito’s Richardson Bay. FLIGHTS MAY BE CANCELLED AND FLIGHT ROUTES ALTERED DUE TO WEATHER. Have you been to Golden Gate Tour? Share your knowledge and be the first to review this. It's a must see if you're in San Fran, especially if it's your first time in the City. I've been here many times and it's still awe-inspiring from the air. We had a great pilot, and the booking process was easy with Ana. Don't miss out! 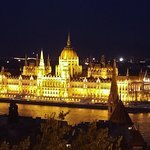 "Highly recommend for special occasions"
I gave this amazing experience to my boyfriend for his birthday. They treated us perfectly. He could sit next to the pilot who was an excellent guide of the SF Bay!! We both loved this experience, highly recommend it! What a wonderful experience and great hosts and pilot. Very entertaining and safe; we can’t recommend this highly enough. Go on; spoil yourself!! Micheal went that extra mile to help get us to the flight on time, thank you Michael! The flight was amazing, brilliant views of San Francisco and the Golden Gate Bridge. I felt total confidence in John the pilot, I would totally recommend this trip when visiting San Francisco, it gives you a beautiful view of the city. Perfect day flying over the Bays beauty! My absolute favorite part was flying over the jaw dropping Golden Gate Bridge! We had the privilege of going on a super clear day, the weather and experience could not have been any better. I highly recommend this outing! The flight is 30 minutes long. Do I need to make a reservation? 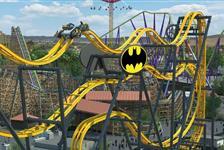 Reservations are recommended due to the limited number of flights and increasing popularity of the tour. 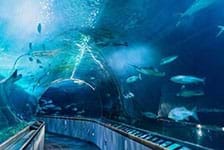 Is transportation to the seabase available? Shuttles from Pier 39 are available for passengers. What safety measures are in place for passengers? Safety is the top priority for all flights. 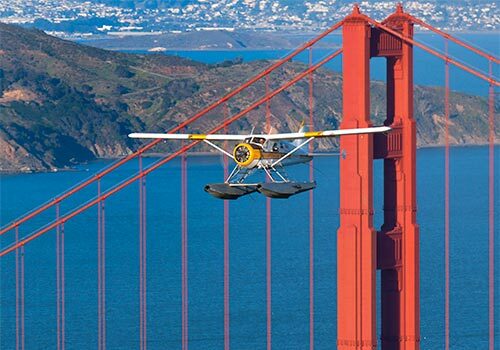 Seaplane Adventures boasts a spotless safety record of decades of accident free flying over the San Francisco Bay and destinations all over the great State of California. Any cancellations made by the listed cancellation date will receive a FULL REFUND with absolutely NO CANCELLATION FEES. Any reservations past the cancellation date cannot be changed or canceled. Contact us for support or help booking your trip at 1-844-560-7215.